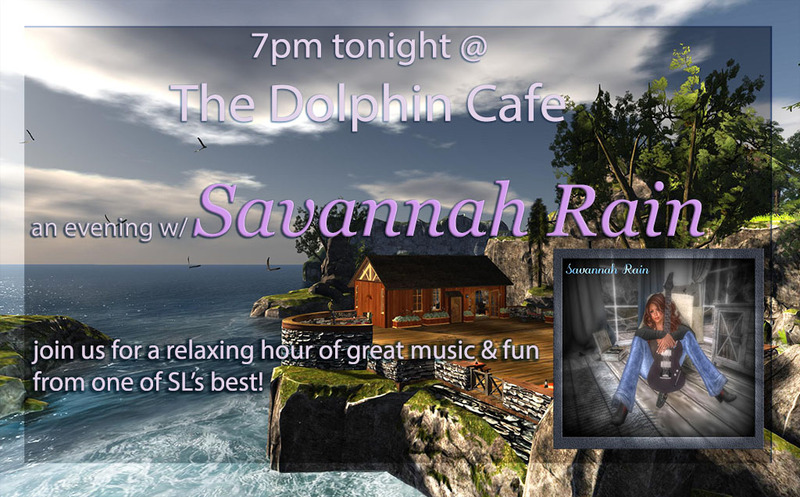 Savannah Rain TONIGHT at The Dolphin Cafe TONIGHT, August 17, 7 pm SLT! Savannah Rain returns to The Dolphin Cafe TONIGHT with her classic country, southern rock, pop and ballad songs. Join us for a lovely evening at sunset surrounded by the sea under the stars! Casual attire – please limit scripts to under 100 so we can all dance till we dropJ Here’s your ferry!